To say that Tony “Lightning” Luis has been twice resurrected is both accurate and unfair. 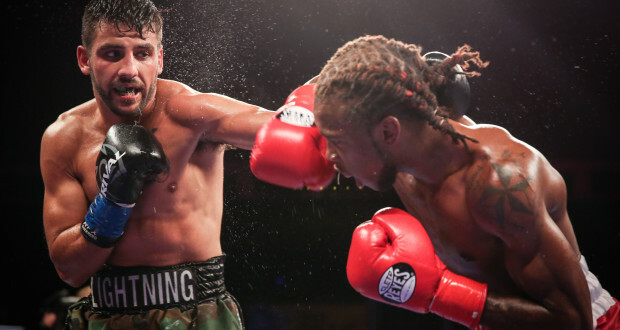 Resurrection implies the miraculous, but divine intervention did not rescue Luis after Jose Hernandez handed the young prospect his first pro defeat. Nor was any miracle at work in his rebounding after a frustrating loss to hyped talent Ivan Redkach in 2014. Such things don’t exist in boxing, and if Tony Luis had accepted the path that seemingly lay before him, he’d be firmly entrenched by now as a rugged gatekeeper and little more. 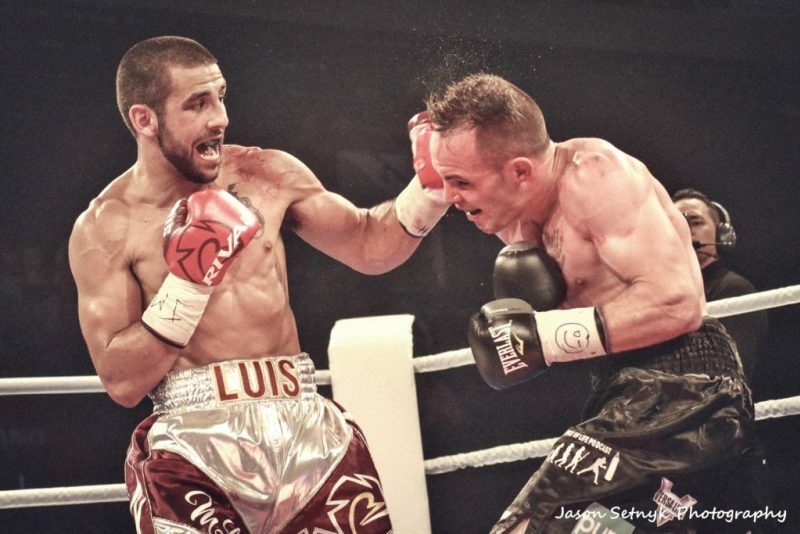 But something peculiar happened after Luis overcame a knockdown and a cut to run roughshod over Redkach in the second half of their battle back in January of 2014. And the best evidence of this is the contrasting trajectories Luis and Redkach have taken since. Tony Luis (24-3) has morphed into the boxer many thought he could become, sporting a 7-1 record during a stretch that has seen him suffer a single controversial decision defeat to Derry Matthews on the interim WBA champion’s home turf. As for Redkach, the gangly, mohawk-sporting destroyer has become a shell of his pre-Luis self, stumbling to a 4-3-1 mark with all of his consequential bouts ending in defeat. In fact, the Tony Luis that fans see now is the product of an odyssey that began with a stoppage defeat to Jose Hernandez, who sported a 13-6-1 record when he stunned the Canadian and stopped him in January of 2013. Painful as that first loss was, it set Luis on a course that would include formative sparring with Cuban maestro Guillermo Rigondeaux and a stretch that, ironically, was book-ended by a pair of suspect decision losses. The Hernandez fight, though, started everything. Heading into the Hernandez match, Luis was coming off a successful American debut that saw him score a first round knockout and he had been in training camp for six weeks. But then he learned that his original opponent, a southpaw, had withdrawn from the fight. The mad scramble to find a replacement led to Hernandez, who stepped up after other options had been rejected. Luis admits that his team had concerns about Hernandez. The rugged challenger was in optimal shape, had only lost to burgeoning prospects, and had recently held Mickey Bey to a draw. But Tony didn’t want to lose a chance to showcase his skills on television, and he had been through a dedicated training camp and felt confident in his fighting form. He knew Hernandez was tough, but Luis figured that after peppering him with some early fusillades, the bout would unfold as it had been scripted. But that’s not what happened. Luis admits he didn’t even feel the left hook that dropped him in the eighth, and once he rose from the canvas, his efforts to fight back were in vain as his legs simply wouldn’t cooperate. In the moment, Luis was livid when Jorge Luis, his father and trainer, stopped the bout, but time and reflection has permitted him to absorb a valuable lesson from the humbling experience. Jorge, a former boxer and karate stalwart, introduced Tony to martial arts and boxing at the tender age of seven. After juggling both karate and boxing for a couple of years, Tony, captivated both by old fight videos he found at home and the experience of watching his father work in the gym, chose pugilism. And it’s the strength of the bond between Jorge and Tony that laid the foundation for his rebuild after Hernandez blemished his record. But like any father-son boxing partnership, emotional attachment can be both a source of strength and struggle. Tony admits that while Jorge can brush off a sub-par training session from any other fighter he works with, his son’s struggles and off nights are taken far more personally. Sometimes, they clash. Their bond, however, is unshakable. The Tony Luis team. Jorge Luis at far right. Indeed they have, and after the Hernandez fight, Tony Luis, whose dedication to training had never been an issue, learned an essential lesson. It was time to check his ego at the door, do more listening, and consistently look for ways to hone his craft. Talent alone, which is easy to use as a crutch when you’re 15-0, would no longer be enough. 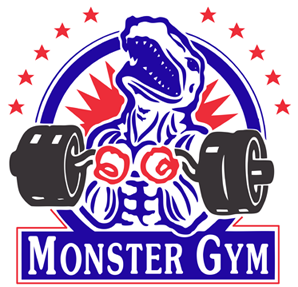 But being in Rigondeaux’s training camp demystified one thing: not even one of the sport’s most intelligent, elite fighters, was doing anything different than he was in the gym. From a practical and tactical standpoint, Rigondeaux taught Luis how to control range, which can be seen in how effectively and doggedly Luis fights on the inside. But while his dynamic with Rigondeaux started off as a sensei-pupil relationship, the two eventually became close friends, and Tony couldn’t help emulating the great Cuban in ways that have had lasting benefits, but which also reflect his uncertainty at the time. 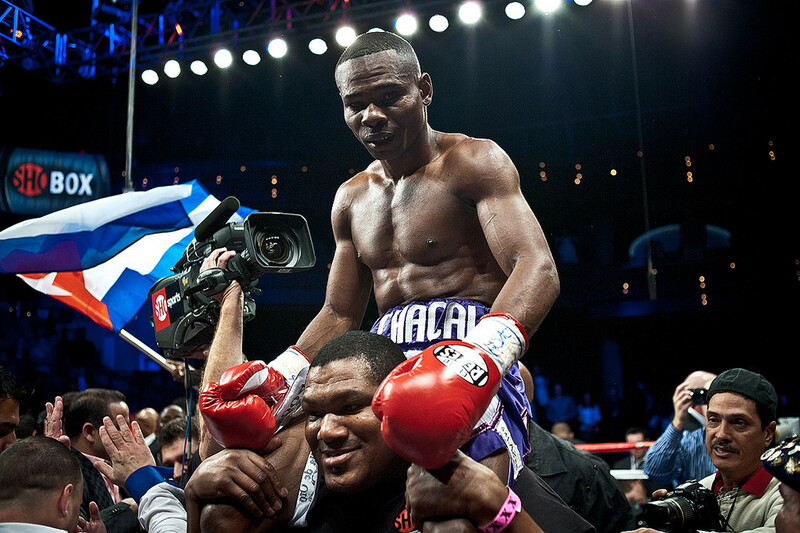 Luis counts Rigondeaux as both a significant influence and a friend. After consecutive confidence-building wins against journeymen opposition, Luis got the call to face Ivan Redkach, who was 15-0 at the time and billed as having concussive power. It was an excellent opportunity, though the script for the match was clear. Luis, despite being 17-1 and not far removed from the trajectory of an elite prospect, was the credible opponent brought in to test the blue-chip talent, not beat him. Luis did lose that fight, officially at least. The scorecards, however, were ludicrous, with one obviously blind judge giving all ten rounds to the Ukrainian. 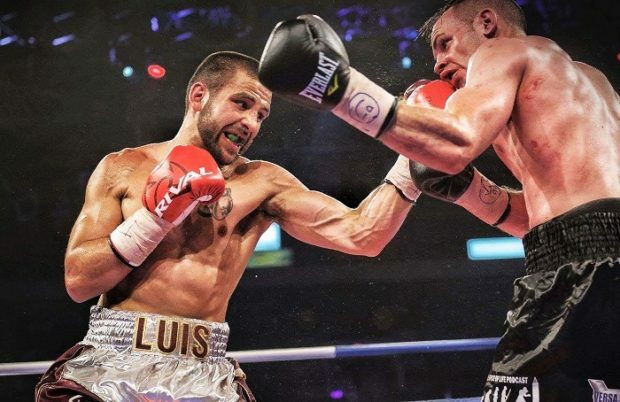 A Redkach knockdown of Luis loomed large given the one Tony was not given credit for, and that set an early, ominous tone the Canadian couldn’t overcome. Luis’ uphill grind also included battling an invasive referee, who ignored Redkach’s incessant holding and pushing down of Tony’s head. In fact, the officiating is what lent the bout a sloppy feel, but what actually galvanized Luis was hearing Redkach’s audible pleas to the referee for help and intervention. In a sense, Luis knew he had his man; the only issue was time and overcoming that early deficit on the cards. Part of that growth was how Luis responded to being seriously hurt in round six. He recalls thinking back to the Hernandez crisis, but this time he was mentally prepared. Hernandez had been more of an unknown, which meant that Luis hadn’t allowed for the possibility that he could be dropped or stopped. Redkach, on the other hand, carried a towering reputation as a power puncher, and this forced Luis to accept his fallibility as a fighter. The possibility of being floored or stopped if Redkach landed the right shot had played into his preparation. And the Ukrainian almost pulled it off. In the sixth, Redkach caught Luis with a right hook as Tony was pulling back, and the Canadian’s knees buckled. But this time Luis was ready and his first instinct was to hold and then establish distance. Not only did Luis survive the onslaught, but he closed the round strongly. There’s actual substance to back up this claim as Tony’s next two bouts — against then-undefeated prospects Wanzell Ellison and Karl Dargan — saw him refuse to follow the script the sport’s power brokers tried to impose on him. The Redkach fight was supposed to be the start of Luis’ decline to “close but no cigar” gatekeeper. While many point to the Dargan bout as his most impressive win, or hail Tony’s spirited effort against Derry Mathews on short notice, his bounce-back effort immediately after Redkach deserves mention. Luis took the Ellison fight on two weeks notice and it was a chance to get back on television, but in fact the stakes were even higher. Tony’s mindset as he set to face Ellison, a slick fighter with plenty of natural ability, was make or break. Given what he’d been through since the beginning of 2013 — an upset loss, learning from Rigondeaux, and the frustrating Redkach encounter — a defeat to Ellison would have called his whole career into question. Instead it was Luis who scored an emphatic decision win. 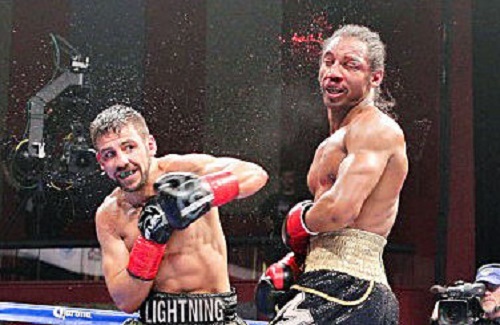 Tony Luis had no choice but to gamble on himself and that bet now led to another B-side opportunity, this time against Karl Dargan, an elite American amateur and nephew of Nazim Richardson, who also served as his trainer. Dargan was 17-0 and the edition of ESPN’s “Friday Night Fights” that the match headlined was supposed to be his coming out party. Luis was a 7-1 underdog, but he had seen exploitable weaknesses in Dargan’s craft that he knew he could pounce on. The challenge was getting inside Dargan’s blurring punches which he snapped so effortlessly from long range. Because Dargan was vulnerable to an educated lead hand and left hooks on the inside, Luis knew that intelligent pressure and cutting off the ring would be key. Luis surprised Dargan by matching him jab for jab, and he quickly figured out how to slip the American’s right hand. Although he’s renowned for his relentless in-fighting, Luis is hardly a brawler. He’s a slick volume puncher with admirable hand and foot speed who nullifies an opponent who boxes off the back foot with technical precision as opposed to brute force. 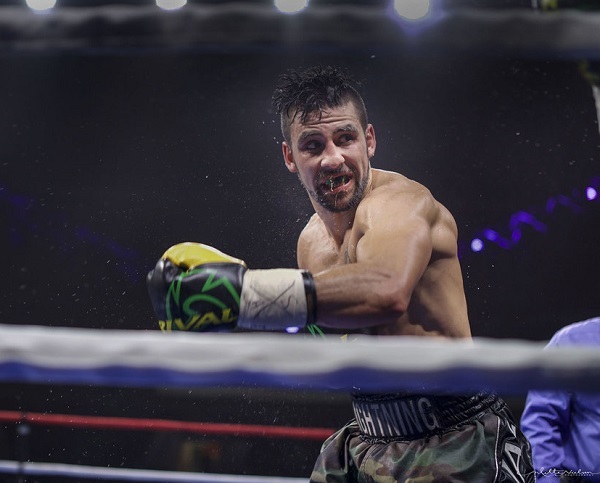 Against Dargan, Luis was able to do that and more, bludgeoning his foe with clean shots and punctuating his victory by dropping Dargan in the tenth and final round, an exclamation point that imbued his career with renewed purpose and direction. 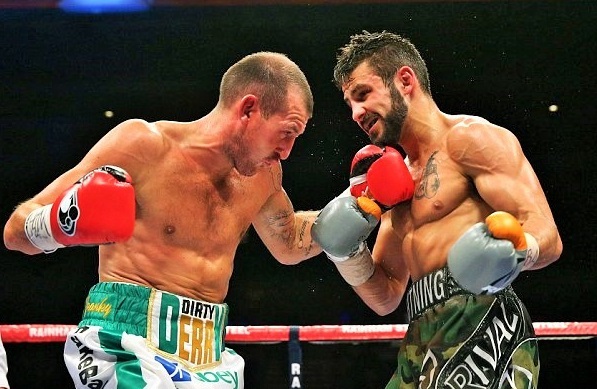 On the basis of these two impressive wins, Tony Luis secured another fight that would help define him, an opportunity to challenge interim WBA lightweight titlist Derry Mathews in the champion’s home city of Liverpool. Luis took the fight on four days’ notice and in a gruelling, messy but compelling battle, he pressed forward for 12 punishing rounds, the Canadian not at all awed by the moment or the duress that comes with fighting in an opponent’s backyard on such short notice, especially in the UK where fight night atmospheres are notoriously raucous. Tony believes he won the fight by a couple of rounds but instead of dwelling on the outcome — a unanimous decision for Mathews via scores of 115-112 and 114-112 (twice) — he’s able to critically assess his performance. He can admit that his pressure was a tad brutish and that he was caught up in the excitement of the opportunity. And then there was the very real impact of jet lag, which contributed to a somewhat sluggish start. However, once he got into his groove, he wrested control of the fight and undeniably forced Mathews to adapt to him. Tony Luis’ circuitous route to the Mathews fight — and that interim world title just barely slipping though his fingers — might have served as a culmination for most boxers, a spirit-breaker from which one never fully recovers. But Luis has instead done something very rare in contemporary boxing: he’s learned and actually improved from his defeats. His record is not perfect but he’s better for it. And that ability to absorb setbacks and learn from them is arguably the greatest intangible quality a prizefighter can possess. Losses haven’t defined Tony Luis; they’ve shaped him. Falling from the echelon of carefully guided prospect hasn’t mired him in obscurity; instead, it made him actually earn his way back to genuine contender status. Currently, Luis finds himself on a 5-0 run, his last two fights coming in his home city of Cornwall, Ontario after a seven-bout odyssey through the United States and England. 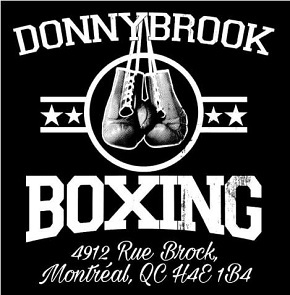 In fact, all of Luis’ previous bouts in Canada, other than an appearance in Mississauga in 2016, had taken place in Montreal. The significance of this shift reinforces the extent to which Luis has rebuilt his career. It took him nine fights and three years to finally be the main attraction in his hometown, the A-side, the headliner on his home turf. He’s back to where he always wanted to be, only now he is a truly complete fighter as a result of the difficult journey he’s endured. The fruits of this labour were on palpable display in “Lightning’s” last bout, a dominant unanimous decision over undefeaed Cam O’Connell, which netted Luis the WBA-NABA lightweight title. To those in the know, the result only reinforced Luis’ standing as a class above O’Connell, and thinking about the build-up to that fight still stirs passion in Tony. Luis defeated Cam O’Connell last June. Few boxers can consistently bend the wills of their opponents and make foes adapt to their fighting style. To do that takes a rare combination of skill and determination. At this stage of Tony Luis’ career, perhaps the greatest compliment one can give him, and something that inspires the utmost confidence in his future, is that he destroys, totally and on a fundamental level, whatever sense of identity and belief his opponents have. To fight Tony Luis is to be dropped into a thresher and be spat out in parts, often times never to be rebuilt. And it’s not just the Redkach, Ellison, Dargan, and Mathews fights that serve as evidence to this. As Luis notes, it’s easy to overlook the fact that he stopped Adrian Valdez, who nearly went the distance with Robert Guerrero, in only his eighth bout, and then soundly out-boxed Adrian Verdugo, who sported a 13-1-1 ledger with 11 knockouts. There’s substance to Luis’ record, from top to bottom. 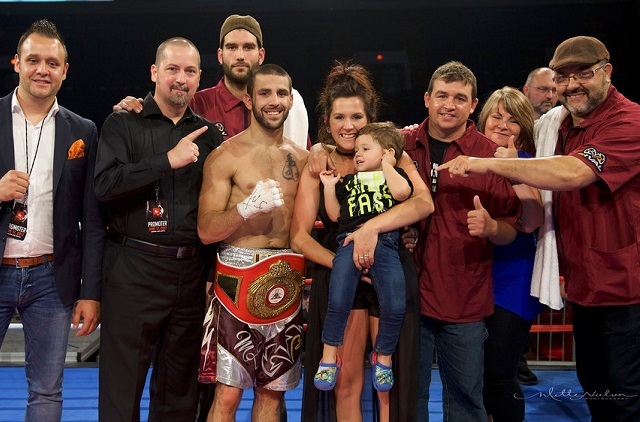 You can forgive Tony Luis for pausing to consider the prospect of defending a world title in Cornwall, Ontario. After his many travels, he’s earned that right, at minimum. 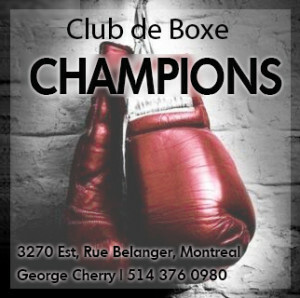 Boxing in Ontario is on the rise, and Luis only views that as complementary to the world class scene in Montreal that he knows so intimately. A new athletic commissioner is steering things in the right direction and emerging fighters are making names for themselves. But for the momentum to continue, fighters like Luis will need to take that next step and bring home a major belt. The road to that destination continues with Tony’s upcoming match on October 14 against Giovanni Straffon. Ontario’s burgeoning fight scene is fortunate to have Tony Luis as an ambassador and beacon. Luis, a new father, also works full-time in a youth addiction centre, balancing family life with his boxing ambitions. He’s seen the positive effects of using boxing as a means to provide direction to the young people he works with, and that, along with the sacrifices he makes for his family, adds an extra layer of motivation to succeed at the sport’s highest level. Wow! I am waiting for the book of your life and your dad’s story too. Love your comments, Toni. You are strong in body and mind. Looking forward to the 14th. What a great team and family you have uplifting and loving you.